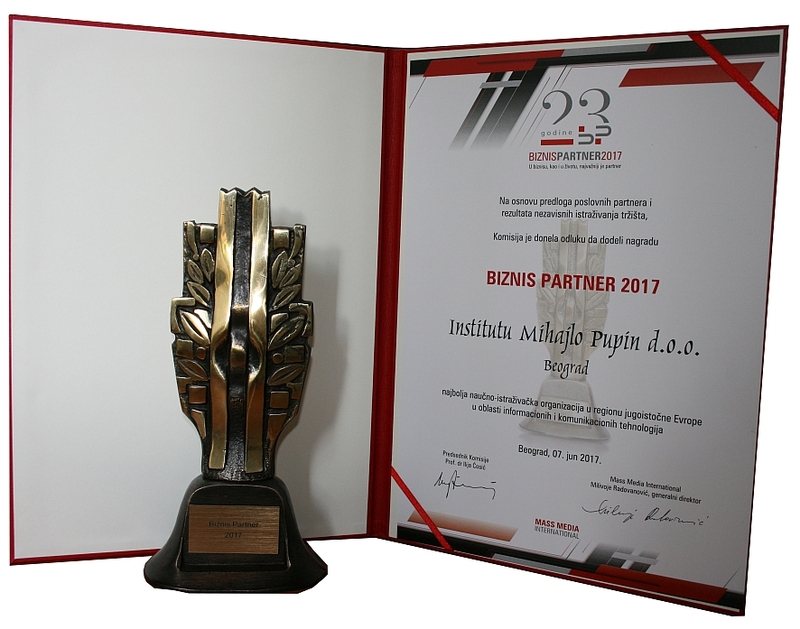 Based on the proposal of business partners and the results of independent market surveys, the Business Partner 2017 prize was awarded to the Institute “Mihajlo Pupin” as the best scientific-research organization in the region of Southeast Europe in the field of information and communication technologies. This recognition award was established by Mass Media International Company twenty years ago, in an effort to affirm companies and organizations that handle high professional and strong ethical standards in their business. 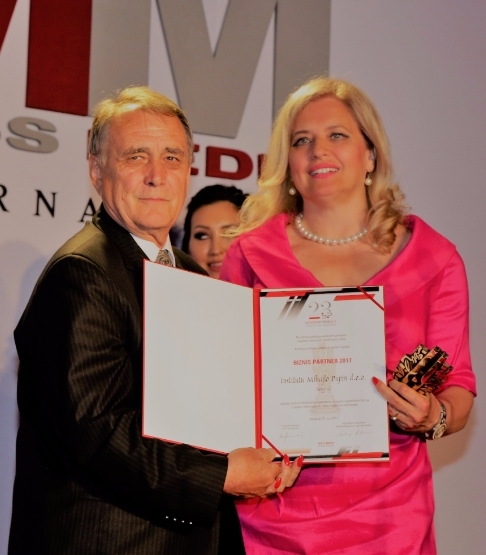 The award was received by the director general Prof. Dr. Sanja Vranes at the ceremony held at Crowne Plaza Hotel on June 7, 2017. Post Published : 8. June 2017.